Joe is a legend in the golden era of American rock climbing in Yosemite Valley during the 1960’s. Along with Royal Robbins, Chuck Pratt, and Tom Frost, the team completed the second ascent of the super classic Nose on El Capitan, but the first continuous climb of the route over seven days without using siege tactics. The previous ascent had taken 45 days of climbing over an 18 month period. Joe is a student; teacher of writing, philosophy, critical thinking; music and film appreciation; history of western civilization, and skiing at Lassen College in northeastern California; writer; poet; rock climber; climbing guide; skier; kayaker; husband; father; grandfather. He grew up and lived in California, and for the last twenty years have lived in the Bronx. You can find out much more about Joe by reading his book, Going Up. Jimmy is one of the most sought after and recognized adventure sports photographers and filmmakers working today. In the past decade, Jimmy has collaborated with some of the most progressive athletes and explorers in the world, participating in and documenting break through expeditions around the planet, from climbing notable first ascents in the Karakoram, to skiing first descents in the Himalayas. Jimmy shoots for a wide variety of commercial and editorial clients. He is a National Geographic photographer and has received numerous awards for his work from PDN, Communication Arts, American Society of Magazine Editors and the Lowell Thomas Journalism Awards. As a director and cinematographer, Jimmy has shot and directed documentaries, tv and commercial projects for The North Face, Pirelli, National Geographic, Working Title, and RSA Films, to name a few. Most recently, he co-founded Camp 4 Collective, a production company focused on adventure sports and lifestyle. On the other side of the lens, Jimmy has been a sponsored climber and skier for the North Face Athlete Team for over ten years. He is one of the few people to climb and ski Mount Everest from the summit and has been profiled in National Geographic Magazine, Outside Magazine, People Magazine, Men's Journal and others. Jimmy resides outside of Jackson Hole, Wyoming. Colin is one of the world’s leading alpinists today, well-known for his cutting-edge ascents in Patagonia, Alaska, and all over the world. He is sponsored by Patagonia, Petzl, and La Sportiva. Almost two decades ago, I planted both feet firmly in the world of falling snow, moving water and massive stone. As extreme sports entered the American mainstream, I was there to tell the stories of athletes like climbing legend Chris Sharma, kayaking pioneer Eric Jackson and world champion surfer Lisa Anderson. Editors at National Geographic Adventure, The New York Times Magazine and Sports Illustrated regularly turned to me to bring them startling, memorable images from the world’s wild edges. For all passionate people, the lines between work and play are hazy. When not on assignment, I'm at home in Lake Tahoe where chasing adventure is as simple as opening the back door to three-feet of newly fallen snow, miles of pristine trails, towering granite walls and countless stories yet to be told. Many will be sure to recognize Corey's amazing photos capturing the wonderful Dawn Wall ascent by climbers Tommy Caldwell and Kevin Jorgeson. When I am not behind the lens I spend time with my wife Rixt and my kids, Miles & Sasha (twins) and Hayden. East-coast-based with a global portfolio of photography, Chris is a serious athlete who endeavors to create images that inspire and alight viewers with a sense of possibility. At home in the vertical world, he's endured the blistering cold and thin air of the Himalaya, knife-edge ridgelines in BC, and steep mountain faces of the Alps. As a photographer and climber he has a strong connection to Nepal; the climbing was unforgettable he claims, but the local people he met on his extended expedition will remain an inspiration in his work for years to come. Chris has photographed on assignment in over 30 countries, maintains a client base of Fortune 500 companies, and has his work featured by National Geographic and other publications. Chris is also a Mountainsmith ambassador. Christian learned to climb in the Adirondacks and took his first trip to the Gunks in 1987, eventually moving to the area in 2002. He enjoys traveling to climb, but feels that the Gunks is now his true home. Christian maintains the website thewhitecliff.com a resource for Millbrook climbers, and most recently he is the co-author of the Trapps App, a smartphone climbing guidebook to the Trapps. Christian also serves on the Gunks Climber’s Coalition Board of Directors. Tell a story with a single picture, that is what drives Ben Carlson with every photo he produces. Whether shot on an iPhone, UAV drone, or professional full frame camera, he seeks to convey a beginning, middle, and end inside the borders of his images. Carlson’s work has been featured in magazines including Alpinist, Climbing, Gripped, and She Sends, as well as guidebooks including Rock Climbing Guide to Rumney NH, and NYC Bouldering. Carlson’s video work was recently featured by DJI, the popular drone manufacturer, where his piece, Icebergs of NYC was chosen as their grand prize winner. Carlson has also been nominated for an Emmy for his work as a Lighting Designer for film and video. He is co-founder of DRY ICE Tools, a small local company creating unique alpine tools for unique alpine climbers. My name is Chris Kalman. For the past 14 years I've been climbing, writing, and traveling the world in search of life's great adventures. My passion is not just 'living the dream' but sharing the stories that make the dream worth living with others. While I am a devoted climber, my real drives in life are conservation, and exploration through story telling. As I continue to progress as a climber and writer, I constantly find new sources for my enthusiasm. Let's collaborate on a project, or at least grab a pitch and a beer sometime soon! Born and raised on the east coast, I have been infatuated with our natural world for as long as I can remember. Originally inspired by my father’s love for mother nature, I have been lucky enough to seek adventure, chase golden light and be still in beautiful places around the world. Some of my favorite things include everything outside, yoga, taco trucks and my dog, Tioga. My seven year obsession has been to photograph the most beautiful mountains of the world. To that end I have now trekked the great ranges of Asia on six occasions. Out here I am able to connect two of my great passions - mountain landscapes and photography. It is a place I go to feel free and simplified and bring my internal creative place into harmony with an external, natural place. The work is in homage to that connection and that place which I think of as the divine. Jay Kolsch spent his years after college as a photo assistant working closely with some of the world’s top photographers. He began photographing professionally in 2014 and continues to refine his portfolio and push his boundaries in adventure. He feels most at peace exhausted, dirty and far from home. When he’s not in the backcountry you can find him in Bushwick complaining about how hip his neighborhood has become. I am travel junky with an itchy trigger finger, and an uncontrollable urge to chase after good light. I love dogs with bandanas around their necks, cold beer, good company and wild places of the world. Over better part of the last decade, my love of mountains, deserts, glaciers and canyons, has fueled my passion for and provided a subject matter for many of my photographs. As a climber I get to see and experience many amazing places, as a photographer I am uniquely equipped to capture some of that experience and share it with others. I always was, and continue to be inspired by photography of those who were there before me. At the end of the day if just one person who sees any of my work gets inspired, packs their bags, and goes to see it for themselves I feel I've succeeded. NYC based, Canadian born, Brittany is an adventurer at heart, balancing her time between the city, sea and mountains. She has been around the local climbing scene for the last decade, and has traveled, trekked and climbed in the far-reaches of Southern Patagonia to the Canyons of Provence, always in search of the transformative powers of human-powered exploration. Her most recent adventures took her to the Nepalese Himalayas before and after the devastating earthquakes. In her photography, she attempts to capture the emotions she experienced at a specific time and place, and the dichotomy between beauty and struggle that these places often inspire. A graduate of School of the Art Institute of Chicago, my creative interests are an interwoven blend of ideas, people, places and subjects that inspire me. Photography allows me explore them in ways that range from intensely personal fine art, to highly collaborative commercial productions. I live in Brooklyn and thrive on the creative community. I balance my urban existence with a passion for the mountains as rock climbing and snowboarding are fuel for my mind and spirit. Lindsay D’Addato is a photographer, climber, and an explorer. Inspired by natural phenomena, her work investigates everyday supernaturalism. Standing next to photography, she highly values good jokes, bad puns, bullet hard limestone, and time well spent in the company of friends. She gladly welcomes all adventures. Casey Hyde is one of the starving artist type. He studied Nonprofit Management and Public Administration at the University of Tennessee of Chattanooga, in his home state. 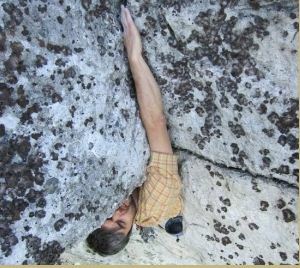 This is where he was exposed to both climbing and photography. However, he has recently relocated to New York City where his passions for climbing and photography both drastically increased. His passion for photography has grown given to the variety of people here. The vast diversity of people in New York City truly captivates him and propels him to photograph their emotions. His passion for climbing is something that allows him to connect with the beauty of creation and truly appreciate nature in it's purity. Andres Burgos is a photographer and director, who is a first generation American from Queens, New York. He has worked a majority of his artistic career in the fashion industry. Only recently in the past year has he begun to climb and has fallen madly in love with the climbing culture. Aside from climbing he spends his time biking, sewing, painting, and cooking. Currently he is reading Woody Guthrie Bound for Glory as he just got his drivers license and is prepping for a road trip across the States. Van Vu and Don Vu, were born and raised in the Pacific Northwest. They've been climbing, surfing, and enjoying New York for the past 7-8 years and are proud to call Brooklyn their home. They're just stoked about capturing and sharing some of their adventures along the way.